New Westminster Dog Groomers Website Launched! Certified and Licensed New Westminster Dog Groomer Athena Lu is Happy to Announce the Launch of the Designer Dogs Grooming Studio Website! 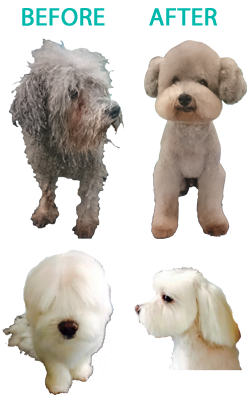 Designer Dogs Grooming Studio in New Westminster BC is a full-service, home based dog grooming salon for all dog breeds, with a focus on styling smaller dogs under 40lbs. A dog Daycare as well as a Self Service Dog Wash station with everything you need for bath time are also offered by Designer Dogs Grooming Studio. Athena’s focus is on creating a stress-free dog spa environment for you and your pet to show dog(s) so you both can enjoy the experience, which lets her wash, scissor, clip and style your dog to “best in show” grooming standards you’ll both love. She is familiar with all breed cuts and will also style your dog to your personal preference – as long as your dog has the coat to support your desired cut. In fact, Athena is so confident in her abilities she offers an industry leading, 100% satisfaction guarantee or your money back. If you’re looking for a certified dog groomer in New Westminster BC with a huge heart for dogs, experience in grooming and handling dozens of breeds with flexible appointment times – that’s Designer Dogs Grooming Studio. If you have any questions or suggestions for the site please call Athena at (778) 996-3351 Monday to Saturday 8:00 am to 8:30pm for your convenience.